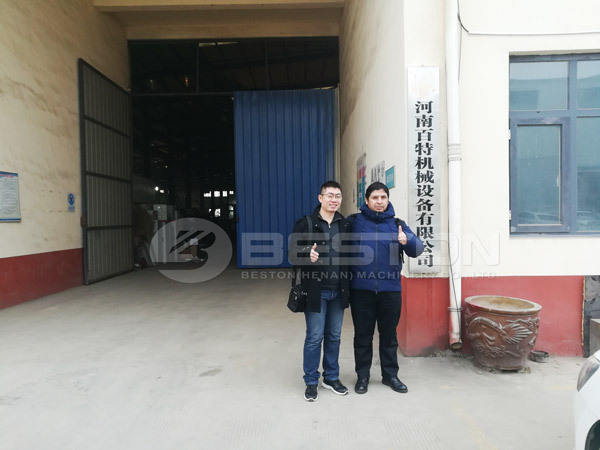 Argentina customer came to China and visited we Beston Machinery in November, 2018. Before he visited, we had talked about the egg tray manufacturing business and his investment plan through email and whatsapp. 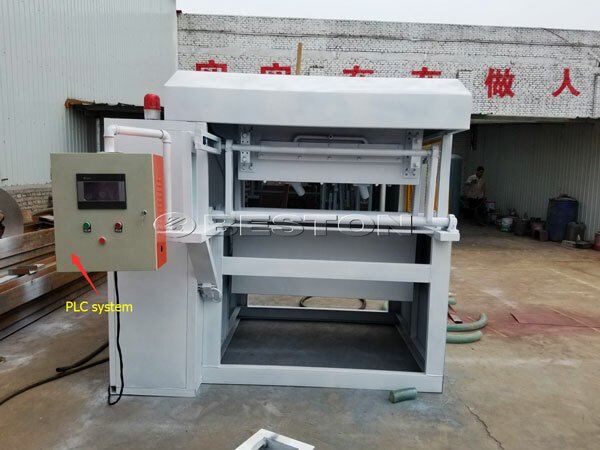 According to his actual demand, we recommend 6-8 egg tray machine with multi-layer egg tray drying line for him. Through visiting, he wanted to make sure more details about the machine. 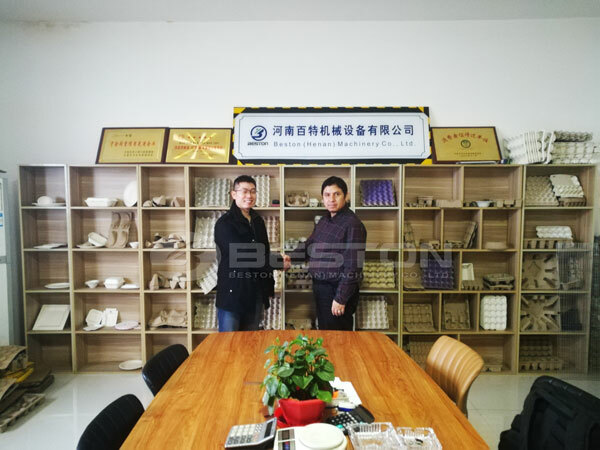 In order to make Argentina customer know clearly about the eggs tray machine. He saw the the egg tray production site. When he saw the 8 years’ working machine. He highly praised the quality of our egg tray machine. And he found it was a good business chance and was glad to cooperate with us. Currently, paper egg tray is a kind of practical packaging for eggs. 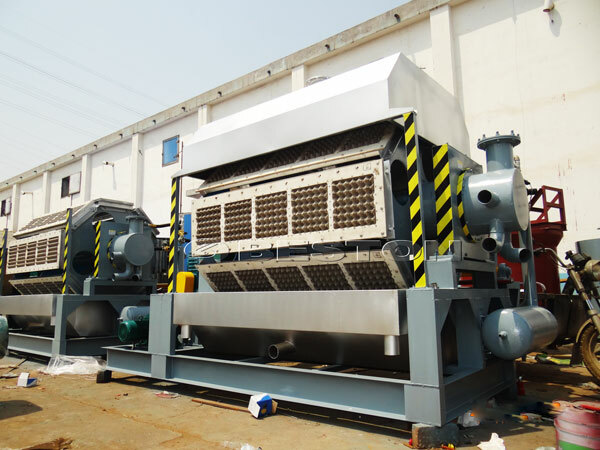 You just need to prepare waste paper and whole egg tray production line. Then, you will obtain great benefits from the investment. You don’t need to be afraid of the cost of workers. 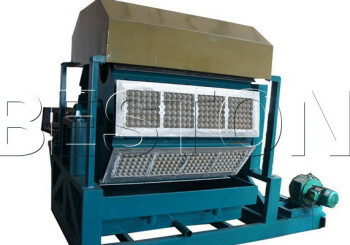 The egg tray manufacturing unit has simple operation process. Just 3-5 persons are needed.